Born 5 August 1921, Lewis, Scotland. 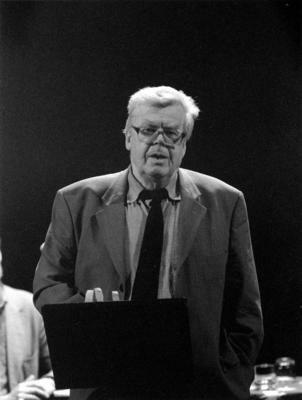 One of the leading Gaelic poets and critics of his generation, he published and edited the Gaelic language magazine Gairm for over fifty years. Through his own poetry, his active leadership in promoting the work of Gaelic writers, and his rigorous scholarship, Derrick Thomson has demonstrated his commitment to rendering Gaelic culture accessible to the national and international community. Derick Smith Thomson (1921-2012) was Professor of Celtic at the University from 1963 to 1991. Born on the Isle of Lewis, Thomson was a graduate of the Universities of Aberdeen and Cambridge and of Bangor College, the University of Wales. He served in the Royal Air Force during the Second World War and was briefly an assistant in the Celtic Department at the University of Edinburgh, before coming to Glasgow in 1949 as Lecturer in Welsh. In 1956, he went to the University of Aberdeen as Reader in Celtic and Head of the Celtic Department, returning to the University in 1963 to fill the Chair of Celtic. More widely known as Ruaraidh MacThomais, his Gaelic name under which he wrote his poetry, Professor Derick Thomson was one of the most prolific and influential Scottish Gaelic poets of the past century. He had consistently pushed forward the boundaries of Gaelic poetry and for sixty years his poetry had celebrated and challenged Scottish and Gaelic society. Founder of the quarterly Gairm (which has showcased new Gaelic writing for 50 years) and founder of Gairm publications, Professor Thomson was widely acclaimed as the father of modern Gaelic publishing. He received an honorary degree (DLitt) from the University in 2007. 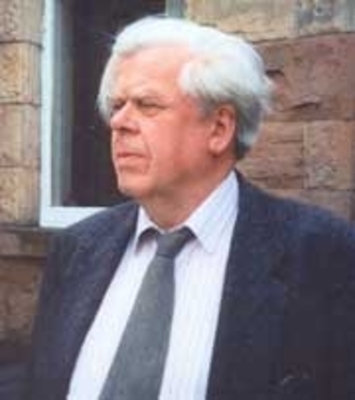 Professor Thomson died on the 21st March 2012, aged 90. He was survived by his wife Carol and their five sons and a daughter.